On the night of August 24, Rohingyan militants staged a coordinated attack on 30 Police posts that cover more than 24 villages around Maungdaw. They also tried unsuccessfully to storm an Army Base. The attackers held only a few small arms, machetes and home made explosive bombs but no sophisticated weapons. This attack was similar to the one staged on October 9 last year by the same group when they made coordinated attacks on three border Police posts resulting in the death of over 9 Policemen. 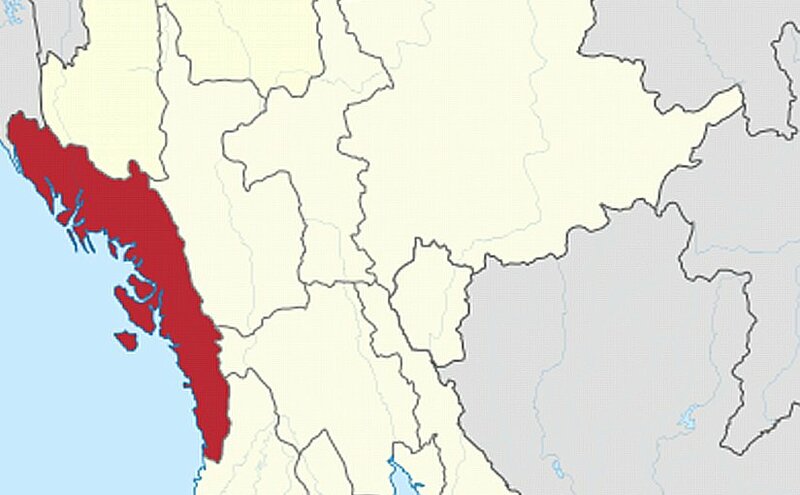 In the resulting Army operations last year some 87,000 Rohingyas were said to have fled northern Rakhine state. The present attack which simultaneous and well coordinated over a large was not a spontaneous one, but well planned and executed by people who were well trained in this kind of attacks. Judging from the weapons used, it looks that it was not a trans national operation though the inspiration may have come from far. Yet there is a likelihood of attacks being repeated with more sophistication and deadly weapons and getting internationalised. The ISIS has already shown its interest in Rohingya issue. The security forces were well spread out in the region and attacks were expected. Yet the forces were surprised and shocked by the simultaneous and well-coordinated attacks. It shows that specific intelligence was lacking or that the security forces were overconfident. The Irrawady has suggested that the security forces could perhaps tie up and get trained in counter terrorist operations with India or Indonesia. This appears unnecessary as the Burmese forces are well experienced and trained for undertaking counter insurgency/terror operations in Rakhine State though some may question its brutal methods. Counter insurgency is a dirty war resulting sometimes in use of disproportionate force. Two countries that are directly affected by the attacks are Bangladesh and India. It is officially admitted in India that over 40,000 Rohingyans have illegally settled with most of them in Jammu and Kashmir. J &K is a sensitive area already affected by insurgent activities and the illegals could become a potential recruiting ground. Orders to evict them have brought strong opposition from Human Rights entities and a case has also been filed in the court. I wish the human rights representatives coordinate with their counter parts in West Asia and try to settle them there! Bangladesh has already had a large number of refugees and cannot take any more. Their efforts to stop the refugees at the border will have to be understood. The UN should step in and find alternatives. Lastly, the international entities are not helping the Suu Kyi administration or Suu Kyi herself by cautioning the administration as to what it should do. Suu Kyi it appears is well aware of her constraints both internally and internationally the repercussions if the Rohingya problem intensifies. She would need time and she should be left alone to decide on the modalities of solving the issue. Surprising that no one seems to have condemned in strongest terms the ARSA that started this violent cycle.